Happy friday folks! It's been so long since I last put together a Friday's Fancies post that I've apparently forgotten my usual template for it. Not to worry though, this week's photos are too pretty to be confined to a polaroid filter anyway. The truth is, things have been a little crazy lately. This is turning out to be one hectic year with no rest in sight. I can't wait to reveal more when the time comes, but for now, I apologise for my sporadic postings and late replies to your comments and emails. Spring has been on my mind a lot this week. While the season officially begun a couple weeks ago, it hasn't really felt like Spring till now. So to celebrate, here are some pretty pictures of the prettiest season of the year. Happy Spring! Loving this innovative way of growing tulips. With the tall vase, it almost looks like the tulips are in a terrarium. My garden gnome candle has popped up in so many blog photos that I'm sure you're all sick of it by now. But I love it, it's such a fun whimsical addition to a table display and I just can't quite bring myself to light it. A picture says a thousand words right? This was my favourite image from the kid's Easter Egg hunt at Cheekwood Botanical Gardens in Nashville. It was the first time either of them have been on an egg hunt and I'm still hearing about it today. "Mum, I want to go on an egg hunt please"
In place of traditional flowers, I'm loving the idea of displaying baskets of eggs for Spring. 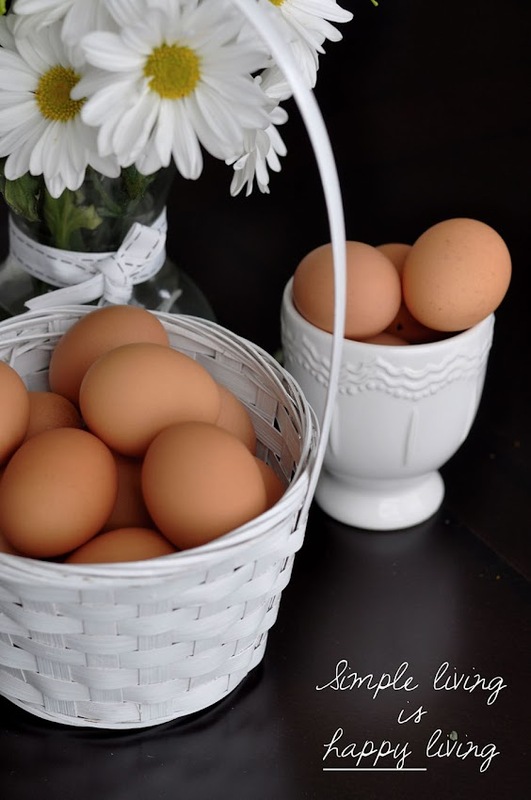 Brown eggs give off that homey country feeling, and look great when contrasted by white baskets and flowers. 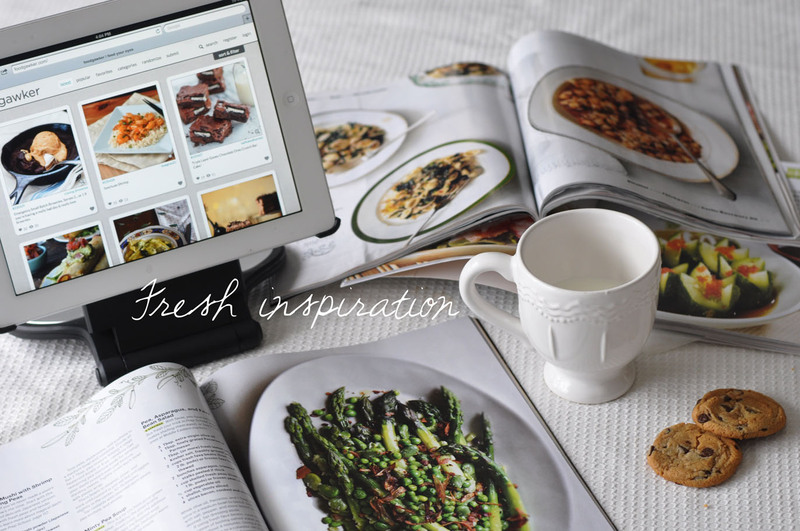 Getting excited by all the fresh new recipe ideas for Spring. I love trawling through Food Gawker and am also an avid Bon Appetit subscriber. I have been meaning to take this photograph ever since we first moved into our house some three years ago (my how time's flown). This pretty scene is right on the corner of the main street before turning into our neighbourhood. I'm hoping to one day do an oil painting of this image to hang up in the kid's bedroom. Every photo is more beautiful than the next Jenee! 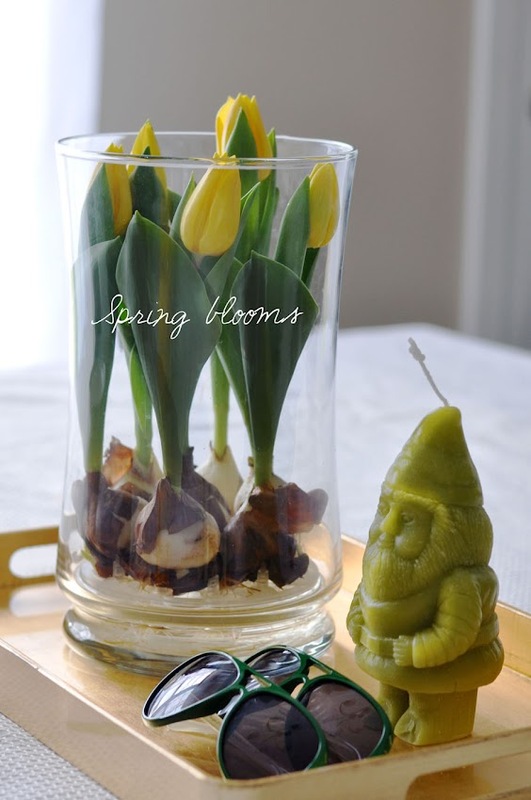 I love how you're growing those tulips and think that when spring really truly shows up--warm enough weather to get rid of sweaters and jackets, you should make a special dinner and light that knome candle!!! Hope you have a wonderful weekend! Your neighborhood is just gorgeous! Yellow tulips are a beautiful spring symbol- they are the background of my Twitter bio! I love spring!! Have a great day! Gorgeous pictures! I love the easter egg hunt picture, how cute and precious! I will have to try food gawker and Bon apetit! I'm always looking for new recipes. I love tulips and so glad your girls had a wonderful time. Life gets crazy hectic. We understand. Have a great weekend Jenee! Wow, all your photos are amazing! I have never seen tulips displayed in this way. How long will they last and do they need watering? Thanks for your explanations regarding the tulips. Loved your post, I'm definitely in a spring mood! I'm following along now too! Amazing pictures as usual! I especially love the last photo! Gorgeous photos! 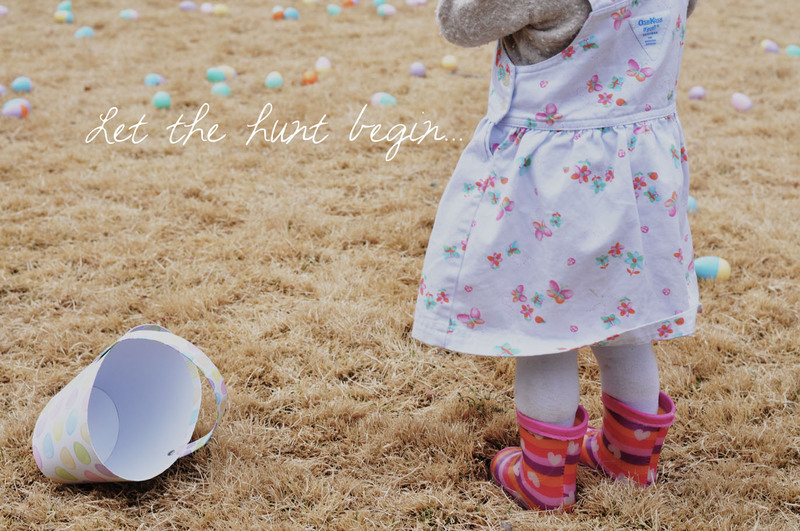 That field is so pretty, and the easter egg hunt photo is precious. Have a wonderful weekend! That looks like a scene out of a movie! So beautiful! Nature at its finest:)! Have a great weekend girl! Adorable captures and the last photo looks serene. Happy weekend. I love that little gnome candle...so cute! And I've never seen tulips displayed like that, but it's really unique and pretty. They're my favorite flower! These are photos are simply beautiful. 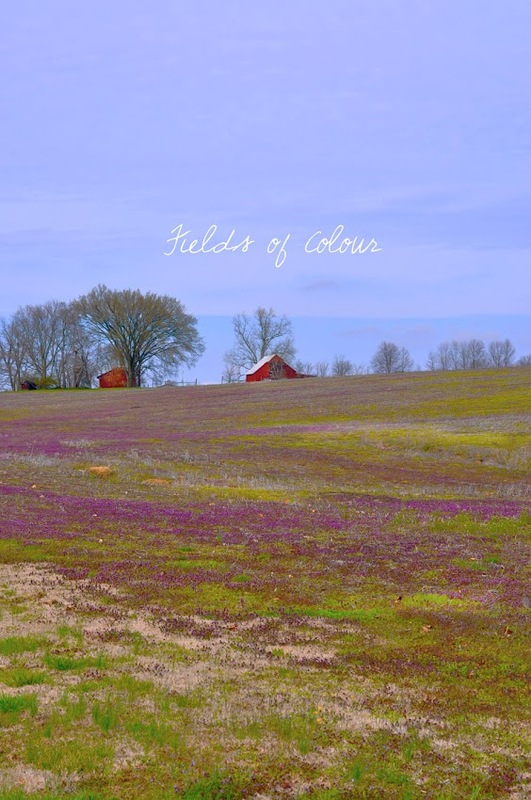 And that big field. What a lovely place for the kids to grow up in. I love all your photos and that gnomes is too adorable. I can't say hello spring because it's hello pollen to me.......My handle is instagram is scoley27. thanks a bunch.